Nashville residents often contact us regarding unexpected and often unusual guests in their homes. Nashville's thriving wildlife often spills over into the neighborhoods. Different kinds of beetles, spiders, reptiles, and rodents come into the human habitat in search of food and shelter. Besides that, like any big city, Nashville is home to many creatures that have been known household pests for centuries. A pest infestation in your home or yard can be more than just an unpleasant nuisance. Many pests, like mice, rats, flies, and mosquitoes, can transmit serious diseases. Others, like wasps and bees, have painful bites and can cause a serious allergic reaction. Pests like termites, gophers, and ants can cause significant property damage. Whatever it is, Pure Guard is well prepared to deal with. Our priority is keeping your family and your property safe and healthy. That is why we focus on effective and environmentally-friendly pest control methods that keep the pests away and maintain a healthy environment around your home. A comprehensive pest prevention plan will continuously work to stop pest infestations before they occur. Talk to Pure Guard specialists about a free evaluation and consultation on effective pest prevention strategies. PureGuard came out yesterday to spray our property. Tom came back again today to check for mice under the house! Best decision I ever made! We have had PureGuard for many years and would never have any other company. All the technicians are very polite and professional. They also treat our pets with care. Even the cleanest of homes can face infection. Call today! No more scattering silverfish in areas of your home! The first sign of bed bugs call us imediately! We are from Nashville and we know Nashville pests. We are a family business and are simply looking out for our neighbors. When there is a pest infestation, there is no time to waist. We choose the most effective approach for fast results. Once the immediate problem is gone, we work out a comprehensive prevention plan for your property. Pure Guard Pest Control is a pest extermination and prevention service serving the Nashville, TN area. Specializing in the extermination of indoor and outdoor pests on residential and commercial properties. 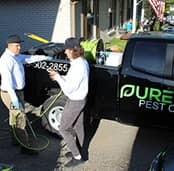 Pure Guard professional exterminators are trained, knowledgeable and experienced in a wide variety of pest control methods and products. All exterminators are certified and all services are insured and bonded. Ants, spiders, mosquito, wasps, hornets, rats, mice, rodents, cockroach, termites extermination, exclusion and prevention. 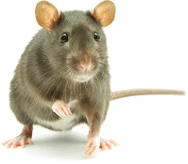 Quality Pest Control and Extermination services in the Nashville, Tennessee area; Nashville, Thompson Station, Spring Hill, Nolensville, Murfreesboro, Smyrna, Lavergne, Hermitage, Mount Juliet, Lebanon, Green Hills, Hendersonville, Goodlettsville, Springfield, Brentwood, Franklin, Antioch, Greenbrier, Pleasant View, Clarksville, Madison, Gallatin.